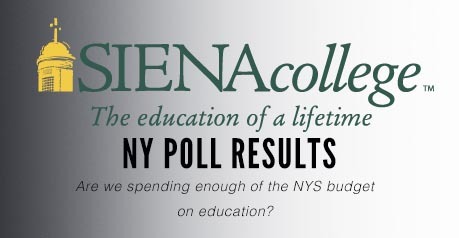 A new poll conducted by the Siena Research Institute confirms what SSFC has been saying for years: that the state is passing the buck on our schools and not doing enough to help school districts financially. Of those polled, 60 percent of voters told pollsters that the state needs to SPEND MORE on public education. The poll shows division over who should pay — the state or taxpayers — but the bottom line is that voters don’t believe NYS is doing enough to help our schools. Despite a court decision on funding equity and new challenges in the courts, the state continues to say it is providing increased funding for education — while at the same time not giving to schools the money it already owes them. 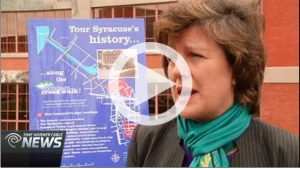 SSFC Executive Director Dr. Rick Timbs responded to Siena Poll findings on Time Warner Cable News. The budget process is over in Albany for this year, but the Siena poll is a reminder that we need to do what is right for our schools and our children. We need to stay engaged with our legislators and continue to press them for REAL education reform, including complete eradication of the GEA, mandate relief and development of a new and equitable Foundation Aid formula. Please share this message with everyone you know who has a stake or an interest in your schools – school board members, administrators, faculty, parents, community members, etc.